Vivo V9 specs hit the internet before its official release. 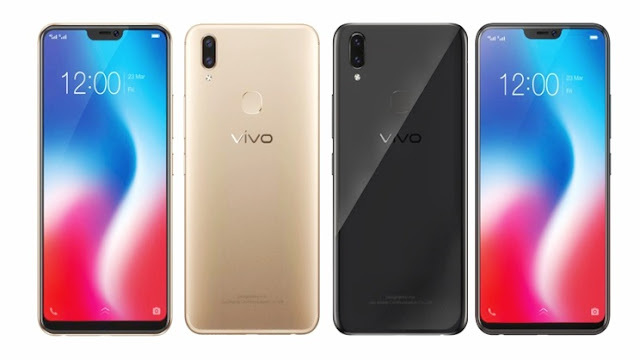 Vivo India posted the purported specs of the upcoming Vivo V9 flagship smartphone in their official website before it was taken down earlier today. The Vivo V9 is expected to arrive with 6.3-inch FullView Full HD+ screen. Like most of the smartphones announced earlier this year, the Vivo V9 follows the trend started by the Apple's iPhone X. It will feature a top notch with an almost bezel-less display. Snapdragon 626 chipset will be powering the Vivo V9 which offers better performance and efficiency. It will have an 8-core CPU running at a maximum of 2.2GHz speeds. The handset also features Adreno 506 GPU. The base unit will have 4GB RAM, and another variant will sport 6GB of RAM for seamless multitasking activities. The Vivo V9 will rock a 16MP + 5MP dual rear sensors, and will shoot up to 4K videos. On the front, the device will be equipped with 24MP selfie camera, with Soft LED Flash for better low-light shots. The Vivo V9 camera features include Slow Motion, AI Face Beauty, AR Stickers, Portrait Bokeh Mode, Time-Lapse Photography, Live Photo, Ultra HD, Professional Mode, etc. Other specs include 64GB built-in storage, 4G LTE, Fingerprint Scanner (rare-mounted), Face Unlock, and 3260mAh non-removable battery with Quick Charge 3.0 support.